That was tough. Snow and fog, couldn't see a thing. Glad that's over. Stage 1, caught a front wheel and spun, right out of the gate. After my best "Austin Powers 23 Point Turn", I set off to redeem myself. Stage 2 went well, and built some confidence, Let it hang out a bit on Stage 3, with video evidence of my ragged manners on file. Unfortunately, I exited the game while capturing clips, and when I tried to get back, it started me at Stage 3 again. I failed to take a screen shot of my actual Stage 3 time, so my only option was retirement. #@%&/! Last day to complete the Round 3, Rally Sweden stages! Just finished Sweden. Started Dirt tonight and account was corrupt no setups had to start from scratch. Done me a favour as it went very well my best finish so far. Round 3 is now complete! Unfortunately there were many non starters for round 3 during a busy week of game releases including Pcars2, leaving only around half of the entry list field participating in the snow rally. There were also some rather harsh DNFs that fell on 2 of the quick starting drivers leaving the eventual finishing field very thin indeed . This allowed quite a few drivers to make up some solid points by just making the finish though! Next up is Rally Monte Carlo for Round 4, good luck! Monte Carlo. I love the Monte. Having managed to score a few points in the last round I was keen to keep that form going. A mixed rally for me, stages 1 and 2 were terrible, I really struggled to keep the car in a straight line and had countless spins, lost loads of time. Stage 3, felt better, kept it smooth, no issues and finished the stage happy. Next up the stages run in the dark, great, although my times weren`t that great. On to the final stage and again I was having problems, no grip was my biggest issue and I was trying too hard to be fast. The main thing is I made it to the end of the rally having had plenty of fun. Rally Sweden was tough but I managed to finish it. Hope I finish the Monaco Rally this time. Nice to see you guys have made a bit of a rally rivalry! Lets see who comes out on top! Hot dog, I'm in the points! Monte Carlo is one of my favorites, I'm looking forward to running this one. provisional leaderboard updated in the first post. Round 4 ends tomorrow night! Here is my round 4 Monte Carlo run. Not the best rally for me especially with the accident @ 13:25 in the video, but the driving was still really fun in the 131. Round 4, Monte Carlo ends tonight! Timer expires at 7:30pm EST/12:30am UK, please get your stages done by then! Looks like you beat me in Monte by 7 seconds !!! Another shortened field for Rally Monte Carlo this week as more than half of this seasons registered drivers couldn't even be arsed to start :roll:. Well done to RCRallyManVW on the impressive Monte Victory! Very good job to all 11 finishers and a big THANK YOU to those who at least put in the effort to attempt round 4/all previous rounds, showing proper commitment to a championship that you've signed up for here on the DSRL. Your dedication is much appreciated. Championship standings will be updated in the coming days. Round 5, Rally Germany is next up...Good luck! Well done in Monte everybody, once again there`s some close times on that leader board, some very close times. On the 5th stage (20 seconds behind you) I was like "can't loose this" and then I went on "McRae mode" and was able to save those 7 seconds. Thanks for the great battle! This round in Germany I'm going to miss, bugger. Crap. I need to pay better attention to dates. I was hoping to run that today. So, does this mean I'm out of the season, or can I keep running? I left last round until the final day (4 hours until close) and I had connection issues. I spent about 45 minutes trying to reload, reconnect and fix race.net but couldn't. I will get this round done earlier. Reading through about the FSarkis/Sloe rivalry above I actually target both of you to beat every week. Although I usually fail. 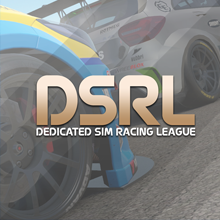 Racenet is down meaning there is no access to the DSRL RC league on xbox or laptop . It has been buggered for a few days now, cutting out right after the end of round 4... and no word yet of when its coming back up. Unfortunately this cuts into Rally Germany time and might mean a potential round 5 cancellation if Racenet remains down as long as October 11th. If it is still down well into the final round, the season will likely be completely cancelled. Sorry for the inconvenience guys.